Zoltan was born in the Austro-Hungarian Empire in 1916, son of Paul and Valeria Dienes. His early years were spent in Hungary, Austria, Italy and France. He always had a fascination with mathematics, even hiding behind a curtain to hear his older brother’s maths lesson, for which he was deemed too young! At 15 he moved to England. He received his Ph.D. from the University of London in 1939. Zoltan understood the art and aesthetics of mathematics and his passion was to share this with teachers and children alike. He was fascinated by the difficulties many people had in learning mathematics and wanted others to see the beauty of it as he did. Consequently, he completed an additional degree in psychology in order to better understand thinking processes. He became known for his work in the psychology of mathematics education from which he created the new field of psychomathematics. Referred to as a “maverick mathematician”, Zoltan introduced revolutionary ideas of learning complex mathematical concepts in fun ways such as games and dance, so that children were often unaware that they were learning mathematics – they were having a wonderful, exciting, creative time and longing for more. He invented the Dienes Multibase Arithmetic Blocks and many other games and materials that embodied mathematical concepts. Zoltan dedicated his professional career to improving mathematics education all over the world including England, Australia, New Guinea, the United States of America, Canada, Germany, Italy, Chile, Argentina, Brazil, France, Spain and Greece. He founded the International Study Group for Mathematics Learning, and the Journal of Structural Learning. He was the director of the Centre de Recherches en Psychomathématiques at the Université de Sherbrooke in Quebec for over ten years, collaborating with researchers and educators from across the globe. He developed full grade school mathematics curricula for Italian, English, French and German schools. In addition to his work in mainstream school systems, he could be found with children in the tribal highlands of New Guinea, in the barrios of Rio de Janeiro, with First Nations and Métis classes in Manitoba, or training Peace Corps workers to teach in the Philippines. After his retirement, he taught part time in the Department of Education at Acadia University and many local grade school teachers would remember his visits to their classrooms. He published profusely, authoring numerous articles, educational materials and more than 30 books, including a memoir and a collection of poetry. He continued to publish well into his nineties, including A Concrete Approach to the Architecture of Mathematics, published by the University of Auckland, New Zealand, in 2009. Zoltan received honourary degrees from the University of Caen, France; University of Siena, Italy; University of Pécs, Hungary; Mount Allison University, Canada; and Exeter University, England. In 2003 he was made an Extraordinary Member of the Canadian Mathematics Education Study Group in recognition of his outstanding contributions to mathematics education. Zoltan was a true ‘renaissance man’ with a deep love for music, art and nature. He was fluent in French, Italian, Hungarian, German and English and conversed in a number of other languages. He loved to sing and the family could often be heard singing together in Hungarian, Italian or Gaelic. He also enjoyed the outdoors – hiking, cross-country skiing and swimming were some of his favourite pastimes. Zoltan was a deeply spiritual person and had a deep relationship with God throughout his life. 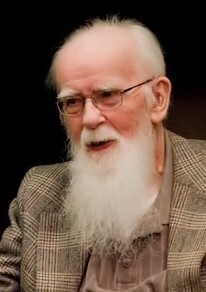 He became a convinced Quaker in 1952. He volunteered with the Friends Service Council and was a member of Ministry and Counsel for the Montreal Quakers. In Wolfville, he was a member of the Annapolis Valley Quaker Meeting. He also attended the Wolfville Baptist Church and at times visited the Third Horton Baptist Church. A prolific writer of poetry, his poems were often mystical in nature and filled with an exploration of man’s divine purpose. In later life, as his perception of the purpose of Jesus Christ was developing further, he undertook to put into poetic form a paraphrase of the four Gospels, the book of Acts and part of Romans, using classical meters. Zoltan married Tessa (Cooke), his childhood friend, in 1938 and they had 68 years together before Tessa passed in 2006. They had five children, fourteen grandchildren and seventeen great grandchildren. He is predeceased by wife Tessa, brother Gedeon (Maya), daughter Jasmine Dienes-Stevens (Robert Stevens); son Nigel (Karin) and grandsons Russell and Bruce. He is survived by and deeply missed by daughters Jancis Nicola and Sarah; son Bruce (Gwenyth Dwyn); grandchildren Zoltan, Dan, Mandy, Jamie, Raj, Rilka, Ramana, Tom, Daniel, Rachelle, David and Melanie and all the great-grandchildren. A memorial page is available at this link if you would like to leave a message. Donations in memory can be made to the Canadian Friends Service Committee or Compassion Canada.